Sylphinford Tachibana is a classmate of Umaru's and her self-proclaimed rival. 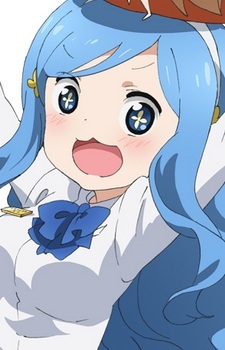 She even stated that her life's goal is to beat Umaru no matter what it costs. Sylphin is most likely to appear right after a test or midterm has ended to see if she has "beaten" Umaru. This isn't always the case though, Sylphin appears in any competition there is and will definitely appear if Umaru is involved in it. One example is during gym class in which she challenged Umaru to a tennis match in order to finally beat Umaru at something.